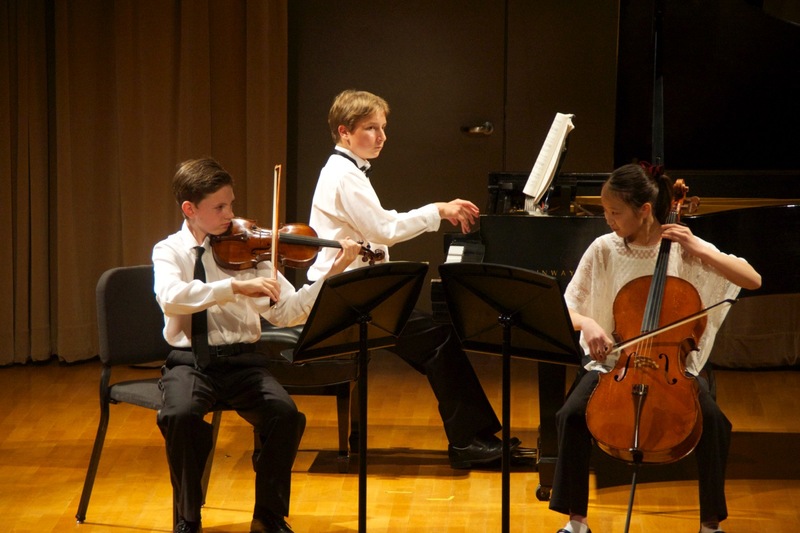 Formed in the Fall of 2014, The Almevi Piano Trio is comprised of award-winning Los Angeles area musicians: violinist Alex Fried (12), cellist Mei Hotta (12) and pianist Victor Shlyakhtenko (13). They are coached by Jennie Jung and Varty Manouelian under the auspices of the Ed & Mari Edelman Chamber Music Institute at the Colburn Community School of Performing Arts. The Almevi Trio performs regularly in the Colburn School.